Leh is a place in India which has turned out to be special thing for motorcyclists. Often, the Leh is called as the “Mecca for Bikers“. The Leh-Ladak road trips are quite a familiar name for Royal Enfield owners from over a decade. In order to improve the experience for its customers, riders and travellers – the Eicher owned Royal Enfield has opened the first ever exclusive service station in the centre of the city. This is going to be a good news for RE owners who does trips to these places often. This new Royal Enfield service station is located at Arya Complex at Leh-Manali road. The Royal Enfield service station is equipped with multiple motorcycle bays in order to service more than one motorcycle at the same time. 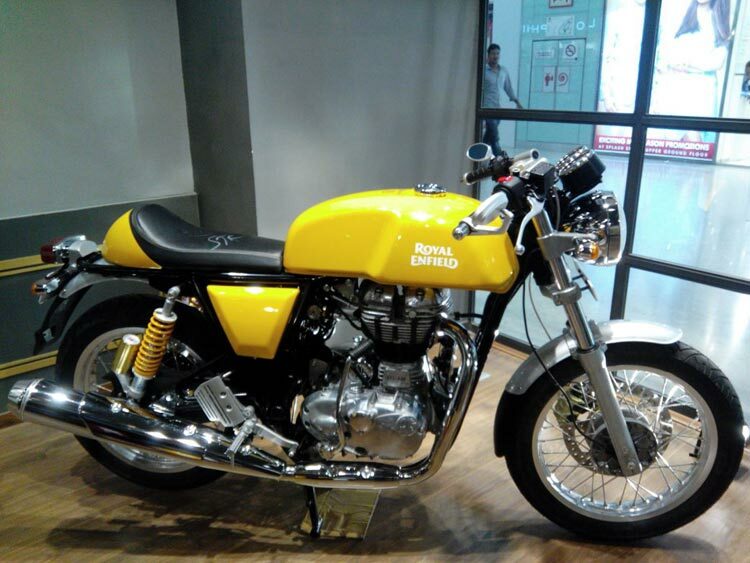 The service station is much needed – Royal Enfield has done enough research while brining this new service station. The company knows that many RE owners and fleet owners shall bring their bikes to Leh and the breakdowns are usual as it is one of the most treacherous roads in India. In fact, this service centre is going to be a boon for motorcycling experience. The new service station operations in places like Leh would ensure that customers will get OEM standard service at standard rates, and stops unauthorised local garage repair work.